Comprehensive Pain Management Blog Is Lower Back Pain Holding You Back From Doing the Activities You Love? Back pain is the most common cause of disability in the entire world, and lower back pain alone affects approximately 31 million men and women in the United States. When you have back pain, it can not only affect your ability to work, but it can also keep you from enjoying everyday activities that you love. At Comprehensive Pain Management, Dr. Do Chan and Dr. Boris Shwartzman have advanced experience identifying the cause of lower back pain and developing effective pain management solutions. 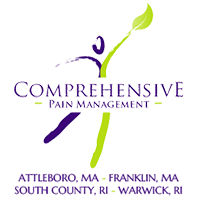 You don’t have to live with lower back pain; find relief at one of our four convenient Comprehensive Pain Management locations in Attleboro and Franklin, Massachusetts, or South Kingstown and Warwick, Rhode Island. When you’re living with back pain, you just want it to stop. But, the most effective treatment depends on the cause of your discomfort. If you have symptoms lasting from a few days to a few weeks, it’s considered acute pain. Discomfort that lasts longer than three months is chronic. Low back pain becomes more common as you age. This is because the aging process affects the vertebrae between your spine, causing them to become less flexible and prone to damage. When you grow older, you also lose muscle tone that can weaken your back, which leads to injury. To identify the cause of your lower back pain, we perform a comprehensive evaluation that includes discussing your symptoms, your personal and medical health history, and conducting a full musculoskeletal exam. In some cases, we might also recommend digital testing, like X-rays, CT scans, or MRIs. At least 80% of men and women will have low back pain at some point in their life, but the sooner you seek medical attention, the faster we can help you find relief. As pain management specialists, we create customized strategies that address the source of your pain. Whenever possible, we recommend the least invasive approach to increasing your comfort and restoring function in the area. Several common interventional pain management techniques include trigger point injections, facet joint injections, epidural injections, and medial branch blocks. These therapies work by delivering anti-inflammatory and pain relieving medication directly into the muscle, joint, or nerves causing your pain symptoms. These therapies are usually quick and relatively painless, but we can also provide intravenous sedation if you’re anxious about your procedure or uncomfortable. For chronic lower back pain that doesn’t respond to conservative treatments, we might recommend spine surgery. Don’t let lower back pain hold you back from the activities you love. Call us at Comprehensive Pain Management or schedule an appointment online today.